CORONA, CA -- CIRCOR Aerospace, Inc., a CIRCOR International company (NYSE:CIR) is pleased to congratulate SpaceX – Space Exploration Technologies on the launch of the Dragon spacecraft, onboard a Falcon 9 rocket from Cape Canaveral, Florida. Dragon orbited Earth at more than 17,000 mph and then splashed down at 2 p.m. Eastern. This is an historic first for a commercial spacecraft to return from a low-Earth orbit and CIRCOR Aerospace fuel system controls enabled main engines during stage 1 takeoff. 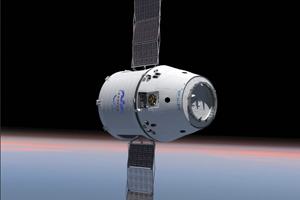 “CIRCOR Aerospace is proud to be a consistent and reliable supplier of systems and component controls on the Dragon and other commercial and government launch vehicles and we send our congratulations to the SpaceX-NASA team,” noted George Teets, CIRCOR Aerospace Fluid Controls Product Line Director. The successful mission was also the first flight under NASA's Commercial Orbital Transportation Services program to develop commercial supply services for the International Space Station.